A famous psychology experiment revolved around placing a cookie in front of four-year old children and telling them to try not to eat it for 15 minutes. The scientists told them that if they succeeded, they would receive two cookies as a reward. Many of the children ate the cookie before the time was up; some even ate it before the scientists had finished speaking. But some—with wills of steel—held out for the entire 15 minutes. When these two groups were given IQ tests, the children who resisted the cookie scored higher. If you’re familiar with our MAT blog, then you should have some idea of how the scoring on the MAT works (MAT Scores). The test is designed similar to standard IQ tests: most of the population scores near the middle, and nearly everyone scores within two standard deviations (50 points) from the mean. To some degree, IQ is supposed to be a fixed trait. Maybe not as fixed as your eye color, but relatively stable throughout your life. This has led many people to view tests of IQ as something you cannot really study for or improve on. A second group of researchers took the children who failed the cookie test and had them play video games designed to increase concentration and focus. In turn, these students saw an increase in their IQ scores. Since that time, research has consistently shown that you can do things to improve your score on IQ tests. With proper studying, a 5-10 point increase is possible on the Miller Analogies Test. I highly recommend that you begin with a study plan that will familiarize you with the test itself. Knowing the test well always allows you to score additional points because you can improve your question and pacing strategies. 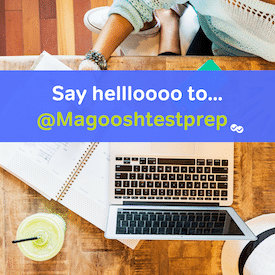 We have 1 week and 1 month study schedules available on Magoosh. Do a large number of practice questions. A well designed analogy is akin to a puzzle and working on them will definitely increase your focus which will increase your score. Don’t be afraid to seek other ways to improve your ability to focus and concentrate. This can be as simple as daily crossword puzzles or even an entire online brain game suite like Luminosity. The reason concentration and focus allow us to score higher on IQ tests is because serious thinking requires a lot of effort. The longer you can focus, the longer you can sustain a high level of mental effort. Final note, if you are interested in cognitive experiments like the “cookie test,” I highly recommend reading “Thinking, Fast and Slow” by Daniel Kahneman; it is absolutely filled with experiments like these.